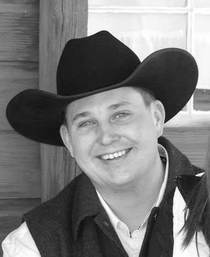 Obituary for Kody Lee Kissling | Crandall Funeral Home Inc.
Kody Lee Kissling 39, passed away unexpectedly on April 6, 2019. He was born on February 23, 1980 in Ogden, Utah to Fred and Ruth (Martin) Kissling. He graduated from Mountain View, High School in 1999 and attended college at Central Wyoming College in Riverton WY. He was employed at Solvay Chemicals. He met the soon to be love of his life Sarah (Walker) but once he met Ella he knew they were meant to be. Kody and Sarah were married on June 18, 2011 at the family ranch in Fort Bridger, Wyoming. Their family was complete when Dallie joined a year later. Kody’s first love was roping. He spent most of his life roping anything that moved including any person that stepped in his path. Kody loved to hunt, fish, and work on the ranch. Kody was always helping those around him, doing whatever he could to lend a hand in any way. Kody loved his community as he served on the Lions Club and volunteered on numerous benefits. Kody could sell a raffle ticket to anyone, given the chance he could have sold beach front property in Arizona. If you knew Kody you knew he was a fan of everything John Wayne. One of his favorite John Wayne quips of wisdom was “Life is tough, it’s even tougher when you’re stupid.” But most of all, he loved his family and being a father to his 2 best buddies. He is survived by his loving wife Sarah and daughters, Ella and Dallie; his mother Ruth Rees and step-father, Allen Rees; and in-laws Russell and Susan Walker; his sister, Kandy (Rusty Hutchinson) Kissling; half- brother, Fred (Christine) Kissling; and stepbrothers, Jake (Chris) Rees; and David (Kelly) Rees, as well as many aunts, uncles, cousins, nieces and nephews. “See you get yourself 3 or 4 good pals; then you’ve got yourself a tribe and there ain’t nothing stronger than that” and a tribe Kody had. He was loved by so many and will leave a void in their lives. He truly was a one of a kind man with a heart of gold and the gift to leave you with a smile. He is preceded in death by his father Fred Kissling, his grandparents, Oliver and Peg Kissling and Glen and Katie Martin. Funeral service will be on Thursday, April 11, 2019 at 11:00 a.m. in the Lyman Stake Center in Urie, Wyoming. Visitation will be on Wednesday evening at the church from 6 to 8 p.m. and on Thursday prior to the funeral from 9:30 to 10:45.